Home | The Hall Blog | We own the Hall of Clestrain! After a long period of delicate negotiations the John Rae Society is very pleased to announce that it has acquired for purchase, having paid an agreed deposit the Hall of Clestrain from its current owners Ivan and Jean Craigie. The Hall of Clestrain ( an 18th Century Palladian building ) was the childhood home of John Rae, the famous Orcadian Arctic explorer, who not only discovered the final part of the North West passage but also what had happened to the previous ill-fated Franklin expedition. It was the publication of this news that resulted in John Rae being vilified by Victorian society and his true place in the history books being denied to him. When told of the news, Alistair Carmichael MP said: "The John Rae story is one that is close to the heart of many Orcadians and which we shall never allow to be forgotten. The Hall of Clestrain is central to that story and it is right that it should be part of any lasting memorial to this great Orcadian and all that he did in his lifetime". The aim now is to embark on a major campaign of fund raising and to approach other organisations to assist us in this exciting project. There will be a public open day at the Hall where anyone can come and talk to members of the John Rae Society about the plans for the Hall. All are welcome. 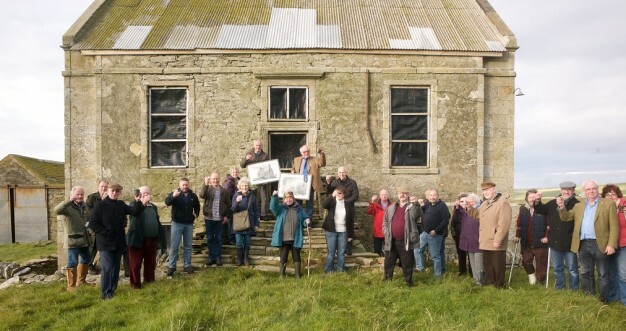 “It is wonderful to see the John Rae Society acting to preserve the boyhood home of John Rae, the greatest Arctic explorer of them all. While conducting a survey for the Hudson’s Bay Company, Rae solved the two great mysteries of 19th-century Arctic exploration. He discovered both the fate of the lost Franklin expedition of 1845 and the final link in the first navigable Northwest Passage. Rae excelled in the north country because, while growing up in the Hall of Clestrain, he had learned how to hunt and sail. Also, and crucially, while working for the HBC, Rae learned from the First Nations and the Inuit how to canoe, cache game, snowshoe, build snowhouses, and ice sledge runners. He subsequently defended Inuit oral history in the face of a criticism unleashed by Jane Lady Franklin and Charles Dickens -- and eventually stood vindicated. The Hall was continuously occupied until a great storm in 1952 ripped part of the roof off. A temporary roof was added and the lower floor converted to house livestock. The temporary roof has remained in place ever since! Canmore; Buldings at risk register description. Link to 3D scan of the Hall of Clestrain completed in 2014 by......for the John Rae Society.